Yesterday I shared the album I made for the parent’s 50th Wedding Anniversary that shared the family photos and their congratulations cards. As part of their year of celebration they took several trips to visit family and friends. 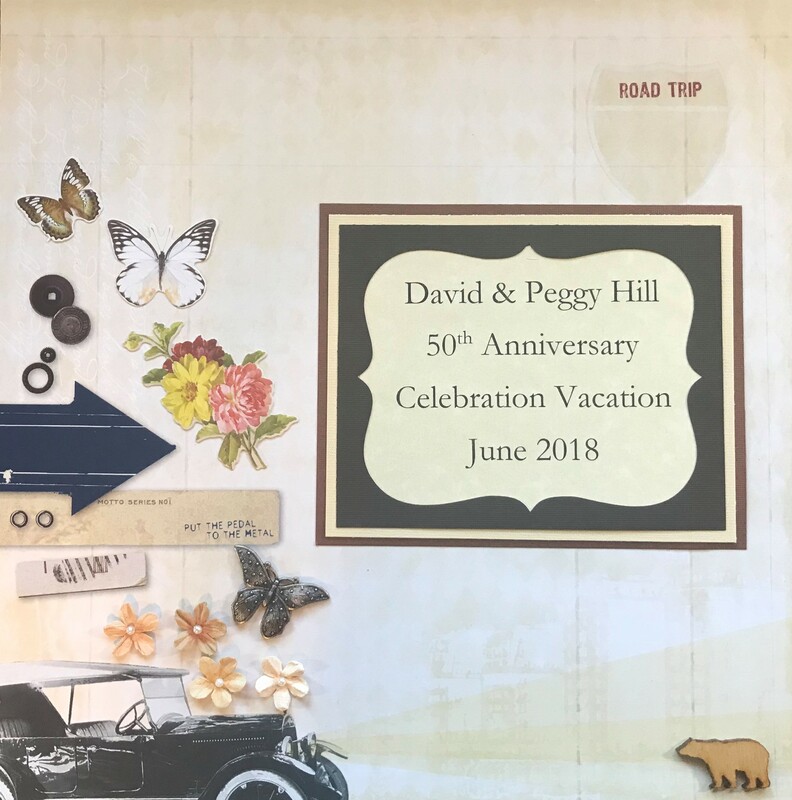 For the parts that I was not with them – they collected the ephemera for me and took photos and gave them to me, so that I could create this 50th Wedding Anniversary Trip album for them. This page is the title page for this album. I chose a background that was a vintage travel theme, and I added several additional pieces to the page that are all hinting at pages that will come later in the album. As I share the other pages in the coming days see if you can notice which design elements are present in them. I printed the title on my computer and then bordered it with a left over cut out from the album I shared yesterday.